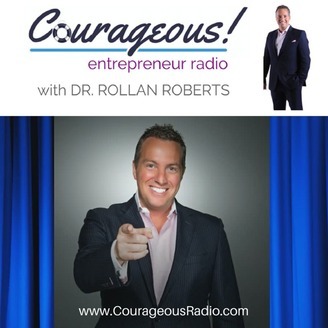 An advisor to world governments and nominated to the Civilian Task Force for Central Command and the Department of Defense, America's CEO, Dr. Rollan Roberts, is the CEO of Courageous! and the face of global entrepreneurship for iHeartMedia. He served as CEO of the Hoverboard company, creating the best-selling global consumer product of 2015, and has a record of crafting viral global brands. Dr. Roberts provides Entrepreneurship Programs & Events to world governments to ignite and inspire a global wave of Kingdom Entrepreneurship. Dr. Roberts has been a featured Keynote Speaker at Harvard University, Bloomberg BusinessWeek, and to China’s government and business leaders in Tiananmen Square at the Great Hall of the People (China’s Congress). He served as an advisor to the Top 20 Startup companies in the world (in Spain), a Commencement Address speaker, Adjunct University Professor, and hosts Entrepreneur Workshops for universities, schools, and economically-challenged communities. 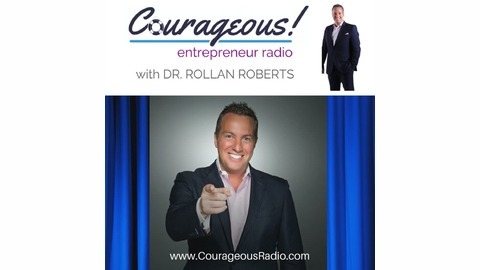 In addition to being a private pilot, he hosts Courageous! Entrepreneur Radio, a weekly, 1-hour, call-in business radio show on iHeartMedia, the largest radio and television outlet in America who reaches a quarter of a billion listeners monthly, holds a Doctorate degree in Global Business and Entrepreneurship, author of 4 best-selling international books on business and entrepreneurship, was a state Senate candidate in 2012, provides counsel to high profile individuals, corporations, and governments, and continues to educate and inspire leaders and entrepreneurs through CEO Huddles and hosting the semi-annual CEO Cruise. Courageous! is an organization nestled in Saint Augustine, Florida that serves the Entrepreneurship Initiatives of world governments, hosts Entrepreneur events and conferences, provides corporate advisory board services, and offers an elegant, rustic setting for leaders, entrepreneurs, and executives to recharge, create, and strategize. Courageous! Entrepreneur Radio with America's CEO on iHeartRadio. Talking about all kinds of businesses today and sharing news that makes boardroom history! Online gambling, fast food, Netflix, Apple, and even the Winklevoss twins made Courageous! Entrepreneur Radio today! I’m letting you know the hottest stock market in the world right now as we just entered the longest of 21 government shutdowns in U.S. history. What it’s Really Like Doing Business in China. The Messy Middle - Bloomberg BusinessWeek China Keynote. Is Network Marketing a Legitimate Business, Equity Valuation, & US-China Trade War.